Editor’s note: Daniel Reeves, the broker-owner/consumer advocate profiled in this story, requested that Inman conceal her identity over concerns that strong criticism of fellow agents would affect her business. Inman verified Reeves’ license and credentials. Though Reeves uses a man’s name, she is a woman. A buyer signs a contract for a house, the elderly seller backs out … and the buyer’s agent, feeling sorry for the seller, doesn’t push to close the deal. Cases like this one — where an agent fails to fight for her client — upset Daniel Reeves, broker-owner of a small Arizona brokerage. “As a real estate agent, no one is watching over your shoulder, and (sometimes, this is the scariest part) no one is keeping you honest,” Reeves wrote in a recent Q&A on the online forum Reddit, where she’s gained an active and opinionated following. Reddit is an entertainment, social networking and news website where registered members submit text posts or direct links, an online bulletin board of sorts. The site includes many sections, called “subreddits,” including real estate. She doesn’t use the platform to generate business even though she visits the forum frequently, often multiple times each day. Instead, it’s an outlet for her frustration with second-rate agents. Think of Real Estate Subreddit as a straight-shooting online help desk for buyers and sellers where agents, brokers and other community members answer consumer questions, helping them navigate gnarly real estate transactions. Always put clients’ best interest first. No exceptions. Not even if your bank account is dwindling. Be transparent. Clearly explain to clients what you do, how you do it and how you earn your living. Set ego aside. Ask questions, learn, fix your mistakes promptly and communicate. Her candor has stoked her Reddit popularity and shows a public hunger for honest agents. “I would call your agent’s managing broker and tell him you want to work with an agent who will actually be on your side,” Reeves advised a buyer in one post. Her suggestion was in response to a buyer who recently posted his query seeking advice from the channel’s more than 35,000 subscribers. Reeves, who goes by “ShinyLightning” on the forum, is one of its most popular members. Readers vote many of her replies on the site to the top. Question about lead paint testing on Section 8 housing? ShinyLightning is there. First-time buyer wants to know if she can buy a home within 30 days? On it. 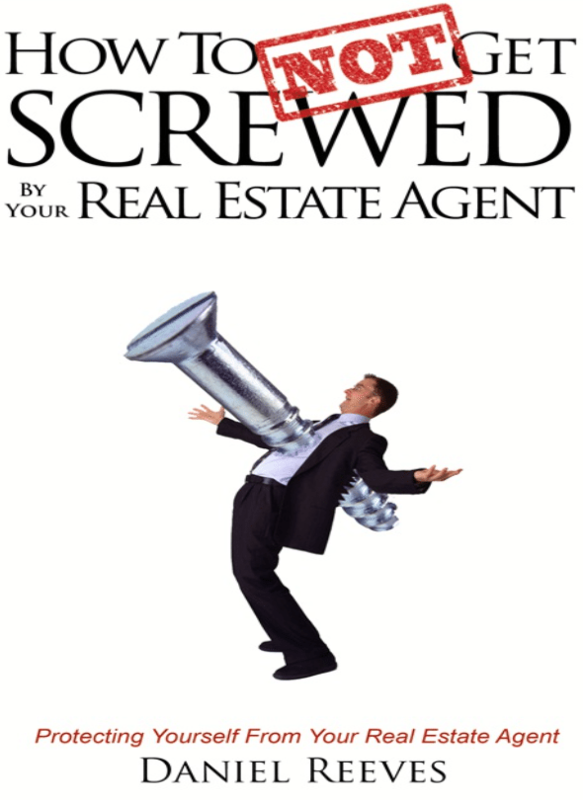 Reeves also has a website and 61-page book, “How to Not Get Screwed by Your Real Estate Agent,” designed to coach consumers how to avoid just that. Descriptions of brokers, agents and Realtors’ roles and what they do. Introductions to some of the potentially conflicting real estate situations that consumers face — like dual agency. Advice for picking an agent. Reeves said the site is a consumer resource, not a place to sell things. For example, it includes links to every state’s real estate board site in case consumers want to report an agent. The site also includes advice to consumers if they feel they’ve been “screwed” by their agent. Contact the local Realtor board. Contact the department of real estate in your state. Reeves is considering using the site to create a referral network of vetted, high-quality agents. A popup on the site prompts visitors to share the names of agents they work with who did a good job. No visitors have offered any names yet, but Reeves has not marketed the site. Are you just trying to get laid? Reeves insists that her passion for righting real estate agent wrongs is benevolent. She married a few years ago, but before then she faced the dating gauntlet, which she compares to real estate agent relationships. Is this agent nice or is he just trying to get ‘laid’? She hated having to guess if a guy’s heart was in the right place. She brings that same perspective to real estate. Her passion also stems from a broader perspective. Everybody’s out for something and it’s hard to know who’s genuinely in your corner, she said. “That pisses me off, especially as a woman,” Reeves said. Some of the drive is also innate. She’s always had an advocacy itch, which almost led her to law school. But she fell in love with real estate in her mid-20s, and fighting for her real estate clients fulfills that natural compulsion.